Nowhere in Canada will you find such gastronomic creations as in Niagara on the Lake. Local produce, world-class wineries, and the many fine restaurants make this town the Culinary Destination of Canada. There are many amazing Food & Wine events happening in November! Fabulicious is on during November 8th-15th and will give you the opportunity to dine at some of the best restaurants in the town of Niagara on the Lake. Wonderful two-three course meals for lunch and dinner are offered up at incredible prices. Some of our favorites are Trius Winery Restaurant where they are offering a tantalizing menu of Butternut squash soup with Cinnamon spiced cream, Pulled pork tacos and Hazelnut Chocolate Beignets. 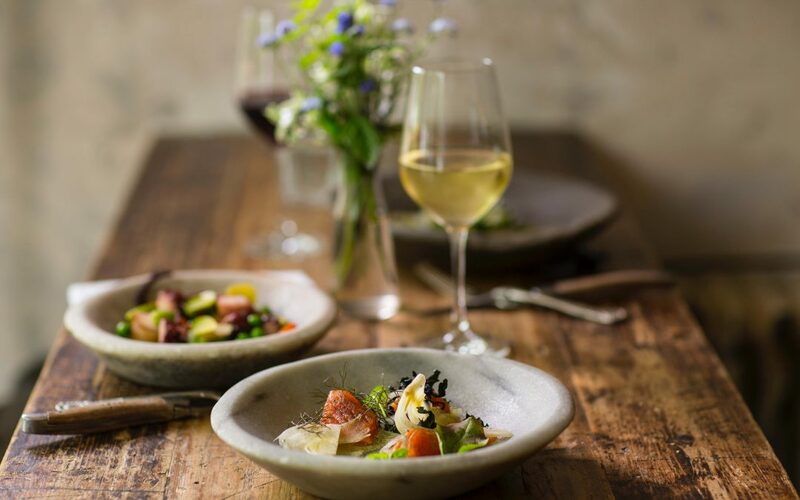 Peller Estate Winery has equally enticing offers on their Fabulicious menu including Flaked Crab Caesar Salad, Salmon Linguine with double smoked bacon and Cuvee poached pear. Make your reservations early as they book up fast, take a look at the menus here. Taste of the Season is another Food & Wine event running every weekend from 11AM-5PM during the month of month November. Celebrate the season’s bounty with exceptional VQA wines and locally inspired food pairings at each of the participating wineries. For $55 your Taste of the Season Pass entitles you to one VQA wine tasting and food pairing at each of the wineries! There are over 20 Wineries participating. That is a lot of choices! One of our favorites is Stratus Vineyards offering their 2014 Stratus Weather Report Red paired with a lemon and chicken tourtière with crunchy mustard. Another great choice is Inniskillin Wines. Try their 2017 Vidal Icewine paired with Vidal onion soup with Niagara gold crouton. View all details of this event and how to obtain tickets here.